Discover more. Find your dream places to stay. Hout Bay is loved for its beautiful ocean views, fun activities and strong sense of community, which makes it almost feel like its own republic within the city of Cape Town… but what about eateries? What has it got to offer us on the food front, you ask? Well, it’s pretty great in that sense too – particularly as Hout Bay offers a host of top-class, varied restaurant options! As something of a hidden Hout Bay gem, Quentin at Oakhurst is arguably one of the most underrated restaurants in Hout Bay – and yet, popular review (straight from the people) tells us that it is oh-so-good! Buoyed by wonderful, rich farming at Oakhurst estate, this restaurant believes in sustainable practices and foods (where possible), a strong family team and food focused solely on the people for whom it is intended. Their ethos is firmly inspired by their sentiments towards the foods they source, prepare and cook… which probably explains why it’s so great! These values have held them in good stead, as they ensure a beautiful and quality restaurant offering, with tasty meals prepared with care and dedication. For these reasons – and so many more – Quentin is one of Hout Bay’s truly unmissable eateries. Address: Quentin at Oakhurst, Oakhurst Farm, Main Road, Hout Bay, Cape Town, Western Cape, South Africa. Own and run by talented chef, Cheyne Morrisby, this Asian fusion-meets-tasty-tapas eatery packs a big punch… In all the right ways! Cheyne’s – a vastly popular local eatery – brings a range of delicious and creative dishes to the table, while catering to both meat-eaters and vegetarians in the process! If you’re looking to experience a true Hout Bay favourite (and enjoy tucking into mouthwatering meals while you’re at it! ), then Cheyne’s is the place to go. Address: Cheyne’s, Main Road, Scott Estate, Hout Bay,Cape Town, Western Cape, South Africa. After 18 years of good, long-standing business, the same tried and trusted ways still play a key role at La Cuccina. All meals are, as far as possible, prepared from scratch in the kitchen and healthy, natural flavours and ingredients are where it’s at. The food – which is comforting, yet tasty- is as good as ever. It echoes of good, old-fashioned home cooking, while still incorporating some modern concepts! For those craving a touch of mom’s cooking (with a modern twist) and a delightful restaurant ambiance, you need look no further than La Cuccina. Address: La Cuccina, Victoria Mall, Corner of Victoria and Empire Roads, Hout Bay, Cape Town, Western Cape, South Africa. Established some 25 years ago, Chapman’s Peak Restaurant is something of a grand dame in Cape Town’s outdoor restaurant scene. Famed for its fabulous calamari and superb seafood, it is blessed with one of the best settings in the Cape Peninsula – and to top it all off, it also offers guests a beautiful terrace, perfect for al fresco dining or sundowners. Join them for a drink, a scrumptious seafood dish or even just a touch of atmosphere, complemented by a light meal just to tide you over… Either way, you won’t be disappointed. Address: Chapman’s Peak Restaurant, Chapman’s Peak Drive, Hout Bay, Cape Town, Western Cape, South Africa. Combining their Italian and Liverpool roots, Massimo and wife Tracey are the passionate duo behind Massimo’s. At Massimo’s, the food is honest, portions are generous and service is friendly, all of which ensure that this charming pizzeria is a winner. And best of all, this popular Italian-style eatery is big on food – and even bigger on heart (they support some wonderful causes!). Address: Massimo’s, Oakhurst Farm Park, Main Road, Hout Bay, Cape Town, Western Cape, South Africa. 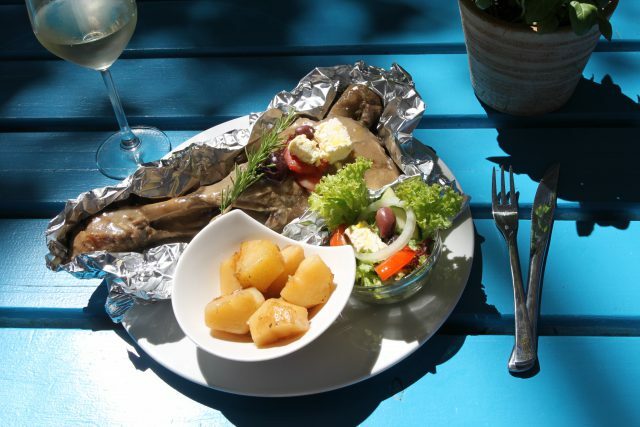 This Greek restaurant is like walking straight into a Mediterranean dream… In fact, you could even call Spiro’s a ‘slice of Greece in beautiful Hout Bay’. Its authentic Greek cuisine is made with love, so you’re guaranteed quality, and it also offers guests a relaxed, comfortable atmosphere, with a fresh, almost youthful feel to it. Seating options offer something for everyone to enjoy – whether you are after al fresco dining areas, an enclosed courtyard or intimate indoor spaces, perfectly primed for lunch and dinner. Address: Spiro’s, 30 Main Road, Hout Bay, Cape Town, Western Cape, South Africa. With a main branch first opened in Sea Point (which is still thriving, it must be said), Ristorante Posticino Hout Bay may have only been open since 2013 in Hout Bay, yet already it has become a local favourite. And given how it is located before the famous Chapman’s Peak Drive, gorgeous dining views are a given too! Address: Ristorante Posticino, 6 Main Road, Hout Bay, Cape Town, Western Cape, South Africa. Found in 2007, this cheerful, little coffee bar has fast become part of the Hout Bay foodie scene. Dario’s brings with it everything from good coffee and fresh sandwiches to decadent cakes and incredible pasta dishes – to name just a few tasty options! This authentic Italian ‘bar’ experience offers guests a vibey atmosphere, tempting coffee aromas and a sense of coziness, without being invasive. Join Dario’s for that catch-up with friends, casual work meeting or fun weekend treat, perfect for the whole family. 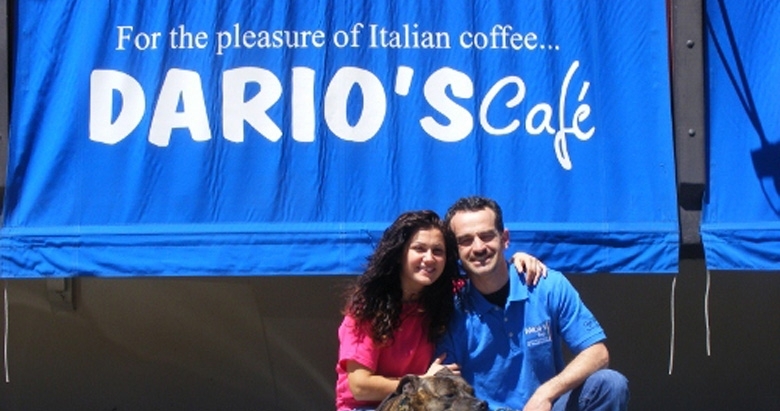 Address: Dario’s Cafe, Victoria Avenue, Hout Bay, Cape Town, Western Cape, South Africa. Serving up Asian street food, the small but efficient Lucky Bao is another fine Hout Bay restaurant offering that comes courtesy of chef Cheyne Morrisby. It might only be able to seat eight people, but, despite its size, it offers plenty of wondrous Oriental flavours and should be overlooked at one’s peril… As for what it lacks in space, it makes up for in food quality and flavour! Address: Lucky Bao, 1 Pam Arlene Place, Main Road, Hout Bay, Cape Town, Western Cape, South Africa. Dunes is, as they say, a right favourite among the locals… This casual, laid-back eatery – enviously located on the lovely Hout Bay Beach – is perfect for all kinds of occasions, be they social, personal or corporate. It offers gorgeous views, good food and plenty of child-friendly fun, including a popular kiddies’ playground. Dunes also offers a well-balanced, varied menu, with something for every type of eater to enjoy! Address: Dunes Beach Restaurant, 1 Beach Road, Hout Bay, Cape Town, Western Cape, South Africa. These are just some of many great restaurants to enjoy in charming Hout Bay – but you’re not going to want to miss this bunch!